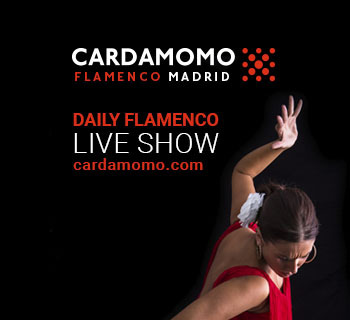 I admit that a tablao is not my habitual venue for listening to flamenco. 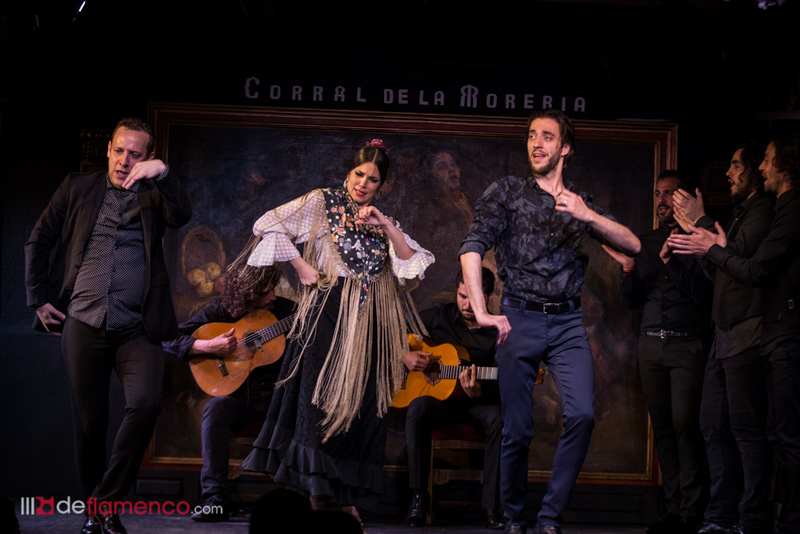 So I feel a bit like a foreigner when it comes to seeing a show at dinner-time, surrounded by people who attend a tablao with the same reverence that I would enter Tipitina’s in New Orleans or the best blues club in Chicago. I recently saw Dorantes in the Jazz at New York’s Lincoln Center, and it’s quite a big difference. In both circumstances you have to anticipate the experience, although you could plan at the last minute…but it’s worthwhile to make a reservation, put aside the sandwich and have a fine dinner. 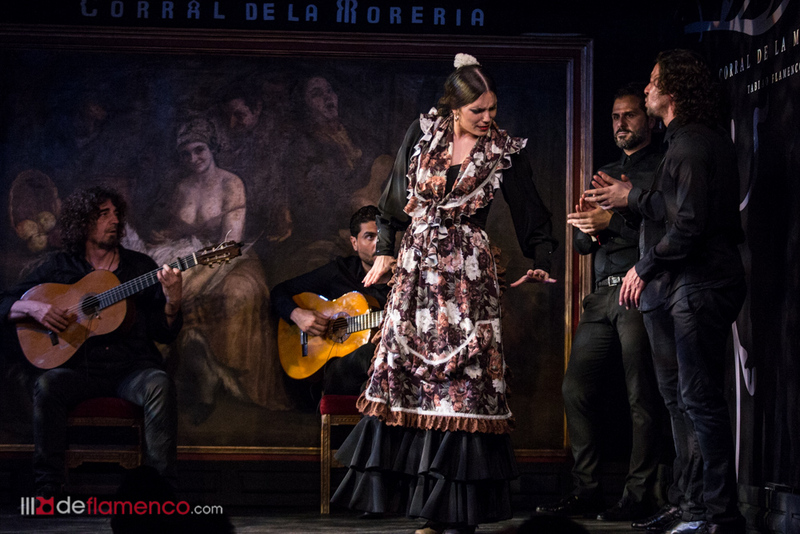 In recent years, the Corral de la Morería has almost become a point of encounter where a wide variety of flamenco activities are presented, a place in which we’ve seen the past, the present and future. We know which is the table Ava Gardner sat at, and what Boris Karloff looked like without his Frankenstein makeup. 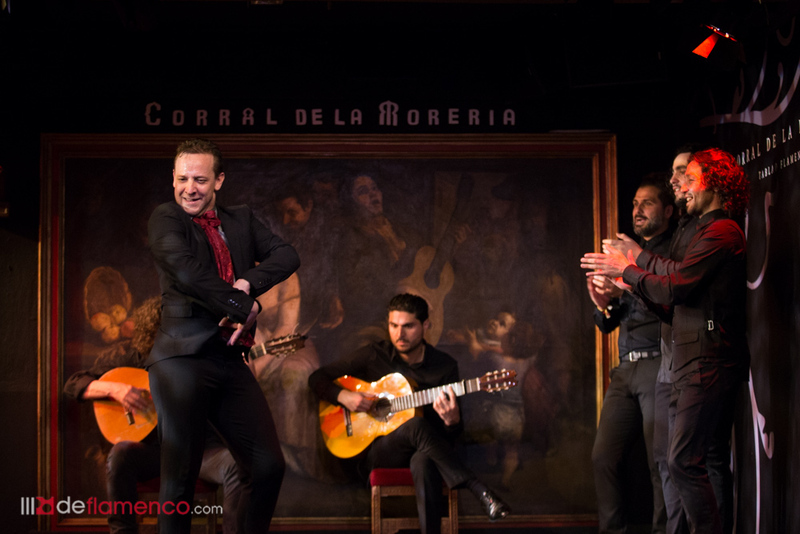 During the month of April, the Corral holds a festival that presents 80 flamenco superstars, just in case you were thinking this is of no interest to tourists, maybe you think it’s like having a hamburger or one of chef David García’s dishes. But that is simply not the case, they all read the fine print before leaving Tokyo, Mexico and Los Angeles. 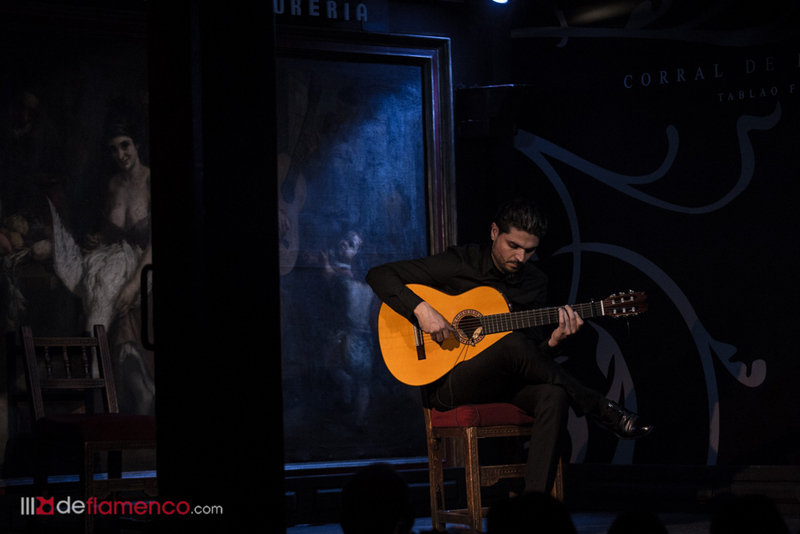 So tonight a large number of those present know that two of the three singers have recordings on the market, that one of the guitarists played in the New York City Center and that three of the dancers have solid international careers, particularly Manuel Liñán. The show gets underway with five minutes to allow for the obligatory photos while you enjoy the “huerto cordobés”, an experience of crispy thick gazpacho. 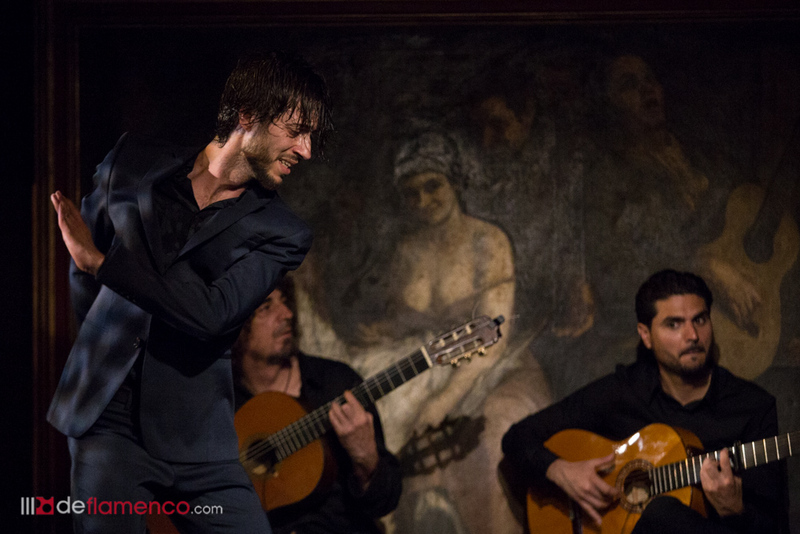 Dancer José Manuel Álvarez fills the stage as guitarists and singers let loose a celebration of rhythm during the fish course; they’re more artists than day-workers, the guitarists play their variations to help the voices grow like the arms of the dancer. 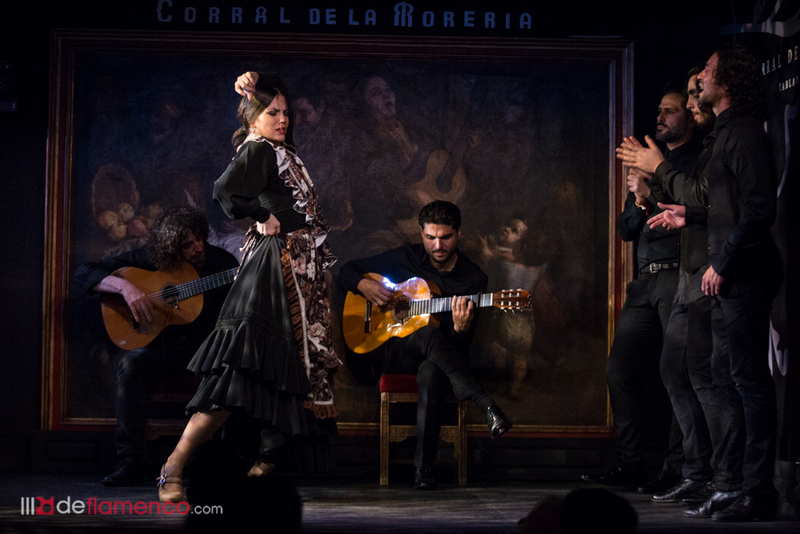 Cristina Aguilera appears in a black dress with a homey apron, the footwork sounds spectacular at the Corral that maintains a very natural sound system. 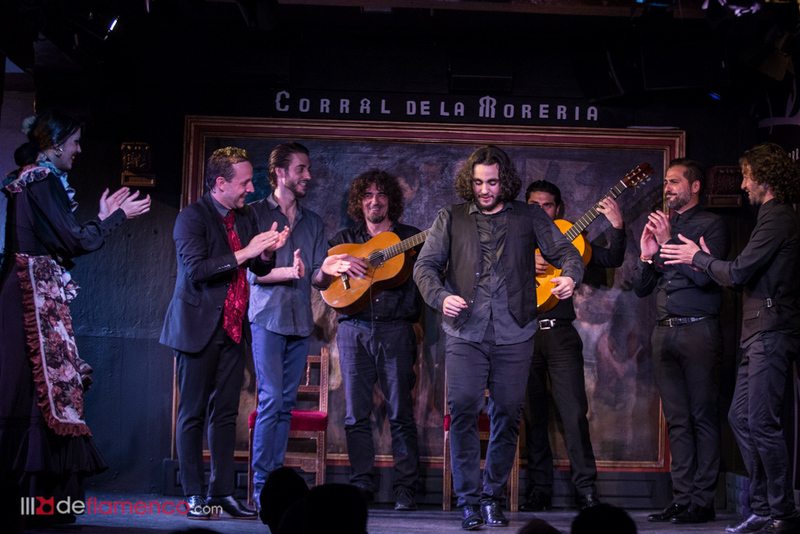 Everyone leaves the stage except for Víctor “El Tomate” with his guitar. There are nights it’s hard to hear his playing (especially when there are mostly Spaniards who tend to take advantage of the absence of vocals in order to talk). On this night, it’s not necessary to shush anyone, and he offers his three-minute concert without the background noise of dishes and waiters to interfere with his art. The group returns, raring to go, the guitars and handclaps compete to fill the silences and just when we’re at the gates of Nirvana, we hear a song Enrique Morente used to sing and it crunches your soul and Manuel Liñán appears, a dancer who choreographs everything, each heel tap, each gesture, nothing is superfluous. 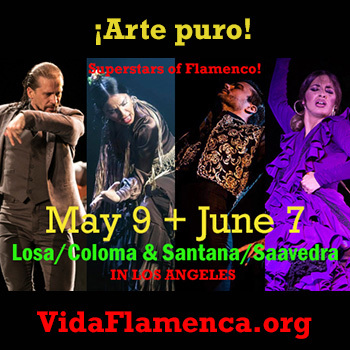 Everything adds up, even those Triana dances where the lack of shame seems to come from the Caribbean, right up to the subtle feminine atmosphere incorporated in a dance that seems like a religion. Dinner was cold by now, but still excellent. 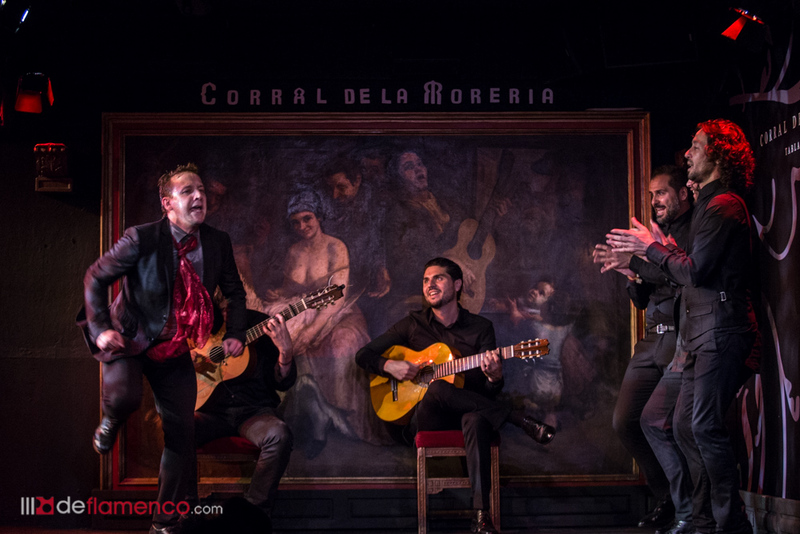 The group closed out with a bulería free-for-all and you leave the Corral like an atheist from a gothic cathedral, like Karloff without his make-up. Liberated.